After months of waiting, the Pretty Little Liars return was a quite the letdown, wasn't it? Pretty Little Liars Season 5 Episode 1 involved a whole lot of waiting and not a lot of action or even some great scares. It's true we got a good reveal at the end, but like most PLL fans, I'm hesitant to think that "it really is over." And just what did we find out? Pretty Little Liars Photos: "EscApe From New York"
Shana is A...or at least she's the A that attempted to kill Alison and then shot Ezra. I was definitely suspicious of Shana when she showed up at the hospital acting all sorts of shifty. It wasn't that much of surprise when she also showed up at the theater, but it was shocking that she was dispatched (from both the scene and the show) so quickly. But clearly Shana isn't the only A. There was an entire park full of masked and hooded figures taunting the liars in a scene that was supposed to be spooky but came off as rather goofy. Plus, wasn't Shana scared off by A in Pretty Little Liars Season 4 Episode 18? How does that work if she's one of the A-team? I'm guessing that was the point when the real A recruited Shana for his/her cause... or convinced Shana to avenge her true love Jenna. Shana's rationale for betraying Alison makes a lot of sense because Alison has made so many enemies I'm surprised she has any friends to help her anymore. In fact, Alison's horrible past lead to one of the other big plot points of the evening: Mona's Army. 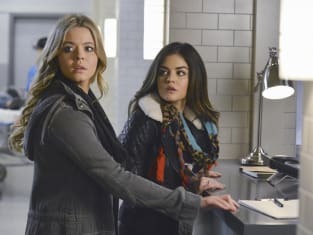 After finding out that Alison is no longer undercover, Mona starts preparing for her former bully's return to Rosewood by recruiting anyone who Alison had ever teased mercilessly with a hurtful nickname. Lucas is there, as is Paige, who seems to decide this club is not for her until a final member arrives - Melissa. This group could turn into quite the formidable enemy for Alison if this whole A thing is going to be dropped for awhile. However, let's be clear: departing from the central mystery would be seriously frustrating for loyal viewers! I'm not saying that Janel Parrish's Mona isn't awesome to watch in action, but I need a lot more A-nswers first. I'm probably the most interested in Melissa's secret. She confessed something to her father during Pretty Little Liars Season 4 Episode 24, something that would exonerate Spencer. So, did she kill that other girl? My gut says probably not, but I think she knows who did and it's someone close to her or her family. Her father's insistence that no one, not even her mother, can know the truth suggests it might be Melissa. Although she seems to feel a lot of guilt about the other girl's death, she doesn't seem that torn up about it. But Melissa isn't the only one still holding onto secrets; it looks like Alison still has some left to confess. She revealed CeCe's part in this A-drama to Emily, but there has to be more. No one survives that long on their own (especially as a teenager) without a lot more help. The season may have started with a disappointing installment, but it did set up some interesting villains for the next season. 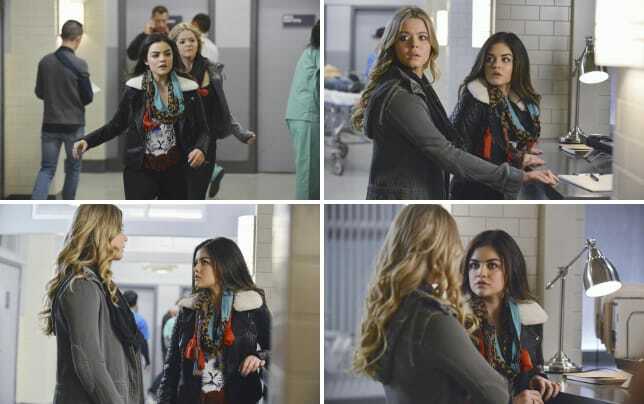 Who is going to be the biggest trouble this season for the liars? A is not finished yet. Mona's army looks ready to fight. The police. Alison. Here's your first look at Pretty Little Liars Season 5 Episode 2, "Whirly Girl."